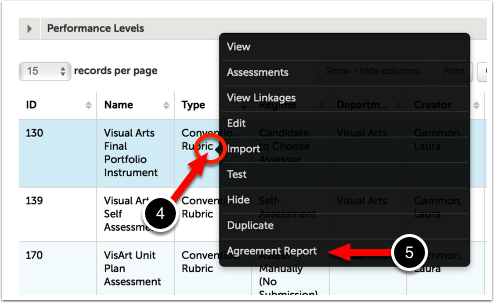 Running an Agreement Report allows you to view the differences in assessments on the same submissions or files by various Assessors. 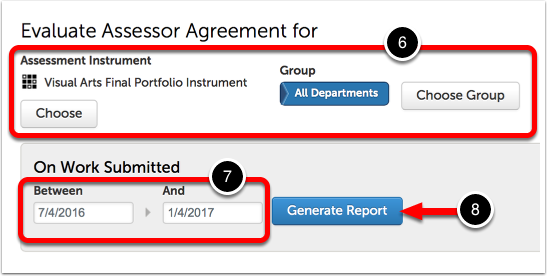 If using the File Assessments feature and Agreement Asserssments, this report will enable you to view how many assessments were generated prior to an agreement having been reached..
4. 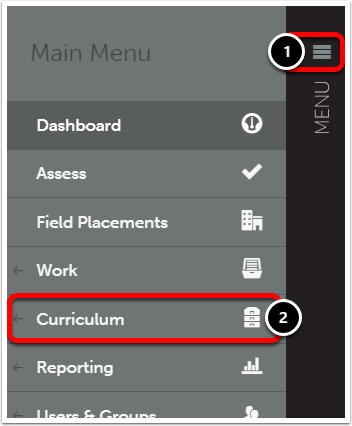 Locate the Assessment Instrument on which you'd like to run the report, and click on it. 5. Select Agreement Report from the menu. 6. 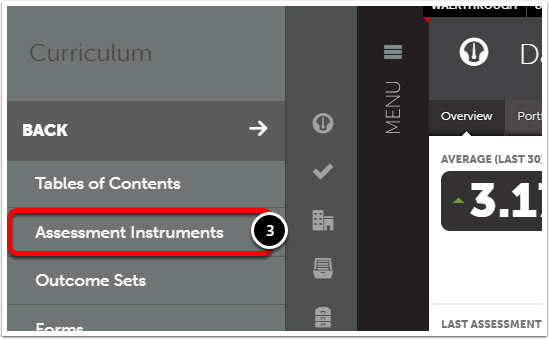 Optionally change the Assessment Instrument or Department/Group. 7. Select the Dates for the report. 8. Click on the Generate Report button. 9. The report results will appear in a table on the screen. 10. If you would like to highlight a variance, select the Threshold and 'Highlight if' options. Click the Highlight Variance button. If you chose to highlight a variance, the area(s) matching your variance parameters will appear highlighted in red.